Co-Optimus - News - Want a Remake of a Classic Co-Op Game? Tell Sega! Want a Remake of a Classic Co-Op Game? Tell Sega! It's all up to the fans, apparently. Sega is on a bit of a nostalgia trip. On the year of its 30th anniversary, the company has been turning through its deep catalogue of classic games and remaking/re-releasing them for modern platforms. The next game/series to get the revitalization treatment? That's up to us! Speaking with Yosuke Okunari, Sega's CS Research and Development producer, Famitsu magazine discussed his remake projects that started with Dragon Force and Virtua Fighter 2 back in 2004/2005. Since then, Okunari has mastered the art of porting classic games to modern systems without murdering our fuzzy childhood memories. 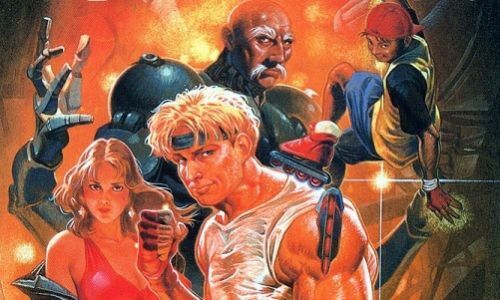 Sega has a handful of remakes in the pipeline, including more titles in the 3D Reproduction Project that brought us 3D Altered Beast and 3D Streets of Rage, which are eventually heading to North America and Europe, though no release date has been announced. "For our next lineup, it will depend on all of your voices, so please continue to support us." We're going to interpret that in a totally sane way, which means no letter writing/severed finger packages or ineffectual petition links spammed across our Facebook page. A politically-charged tattoo might convey a powerful message, wouldn't it? And let's be honest, a ToeJam & Earl refresh wouldn't hurt anyone, would it? Page created in 1.1326 seconds.